Memorial Sloan Kettering is pleased to share the news that the American Society of Clinical Oncology (ASCO) has recognized three of our recent studies as being among those that have the greatest potential to improve patients’ lives. Clinical Cancer Advances 2015, ASCO’s latest report of the most important achievements in clinical cancer research over the past year, highlights some of our accomplishments in the treatment of both common and rare cancers. These successes are largely due to advances in molecular oncology and immunity science, two areas where MSK continues to play a leading role in taking findings from the laboratory and translating them into new treatments. One of the innovative areas of research showcased in the report comes from MSK’s Center for Cell Engineering, led by researcher Michel Sadelain. Along with members of our Leukemia Service, the group is developing a cell-based therapy for adult patients with B cell acute lymphoblastic leukemia (ALL), a rapidly progressing form of blood cancer. Their approach involves removing T cells, a type of white blood cell, from patients and introducing a new gene into the cells that enables them to recognize the cancer. After the gene is inserted, the T cells are infused back into the patient, where they multiply and cause a variety of immune responses aimed at attacking the cancer cells. This year, in the largest study to date to evaluate this treatment, the team reported that 88 percent of patients responded to the therapy. 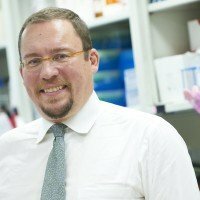 “This work was important because it demonstrates that this is a repeatable outcome,” says medical oncologist Renier Brentjens, one of the senior authors of the work, which was published in Science Translational Medicine. 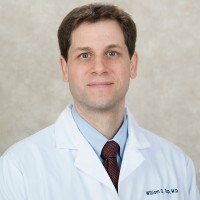 New research from MSK investigators that sheds light on a potential therapy for pigmented villonodular synovitis (PVNS) — a rare and destructive joint disorder that affects approximately 600 young and middle-aged adults in the United States each year — is also cited in the ASCO report. A study led by medical oncologist William Tap, Chief of the Sarcoma Medical Oncology Service, suggested that a drug blocking a protein known to promote PVNS could alleviate symptoms and improve quality of life. The drug, known as PLX3397, inhibits a protein called CSF1 kinase, which is a driving force in the development and growth of advanced PVNS. “By taking this drug that potently inhibits a single genetic process, several patients with advanced PVNS appeared to experience, in a relatively short amount of time, relief from pain and stiffness as well as marked improvement in joint function, all with minimal side effects,” says Dr. Tap, who presented the findings at ASCO’s annual meeting in June. As the ASCO report notes, genomic research is leading to promising findings for many rare cancers. One of those discoveries, made by MSK researchers, identified a genetic mutation that appears to cause an aggressive type of ovarian cancer in young women called small cell carcinoma of the ovary, hypercalcemic type (SCCOHT). The scientists conducted genetic analysis of tumor samples from 12 patients with SCCOHT using a technology called MSK-IMPACT™. All 12 samples had a mutation in a gene called SMARCA4. The researchers now plan to develop potential therapies and test them on cell lines that carry the SMARCA4 mutation. “Now that we know the target — what we think is the Achilles’ heel — we’ll try to hit it,” says physician-scientist Douglas Levine, who was senior author of the study, published in Nature Genetics. You can view the full report on ASCO’s website. i may not live to see it, but I believe sooner than later, they will figure it out. I welcome your monthly email . I read everyword of it. I also pass it on to my cousin in Barbados who is a breast cancer survivor. I lost my dad to kidney cancer. Please keep this very informative correspondence up, as I always look forward to receiving it. Do have a lovely day. Mi hija tiene un carcinoma neuroendocrino en el cuello del utero de 2,5 cm., no hay metástasis, quieren hacer cirugía radical con anexo, retirar ovarios, cuello de utero y utero, ella tiene 32 años y muchas ansias de maternidad justo en el momento. Muy preocupados, porque no aseguran que con quimioterapia tradicional no prosiga. Somos de Argentina y quisiera saber en que lugar del mundo puede haber algún otro tratamiento menos agresivo. My question is has there been any new research for stage IV colon-rectal cancer that has metasizied to the liver? Loretta, thank you for reaching out. There is currently a clinical trial at MSK regarding liver metastases from colorectal cancer, although it is not a treatment but research into how well ablation of liver metastases (destroying the tissue through a needle inserted through the skin) has worked. For further questions about treatment of liver metastases, including recent research, you also can call the National Cancer Institute’s Cancer Information Service at 800-4CANCER (800-422-6237). To learn more about the CIS, including Live Chat help and how to send them an email message, go to http://www.cancer.gov/aboutnci/cis/page3.